I was approached by Kalin a while back to shoot her wedding and I was already booked for the date. After the wedding she really wanted to get some beautiful portraits to have in their new home together and wanted to make something timeless and beautiful. We had the idea of putting on her wedding dress again and having some fun! 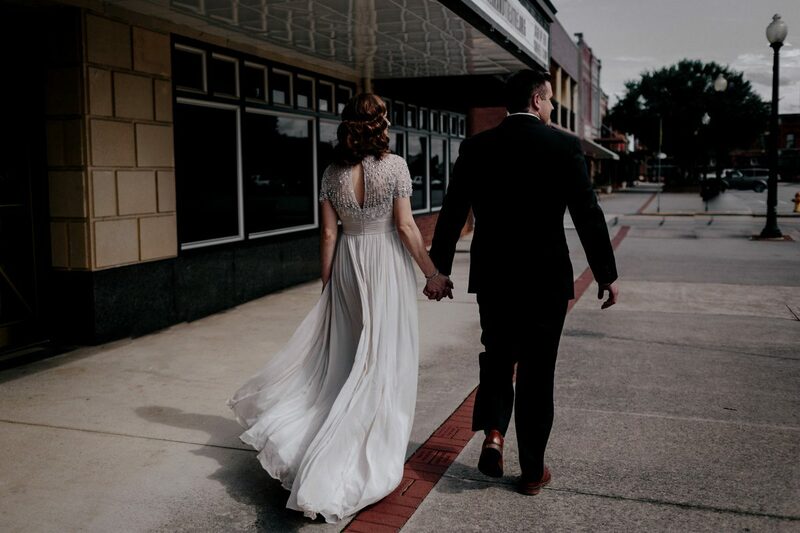 Downtown Cartersville has some beautiful old architecture that I thought really meshed with the glamour and vintage beading on her Jenny Packham wedding dress. When she first arrived and got out of the car my jaw dropped! She really did look like a movie star and the light was hitting everything just right. I literally could not shoot fast enough! Corianne Elizabeth really knocked it out of the park with the light waves in her hair and matte makeup for this shoot. 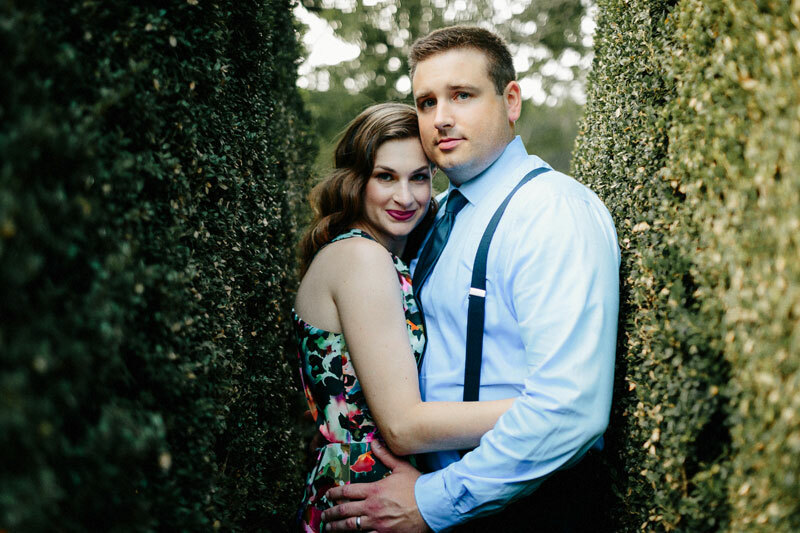 With dark and ominous rain clouds approaching quickly, we hopped in the car and headed over to Barnsley Gardens for our second look with a little more color and modern vibes. She rented a Monique Lhuillier gown from my favorite site Rent the Runway and I think I took even more bazillion photos because it was all just so good. Their natural chemistry made my photos come to life. A little bit of fashion, love, and adventure, all of my favorites in one day. Check it out!